NGAMBA – It is well understood that the Ruparelia foundation supports chimpazee conservation efforts on Ngamba island chimpanzee sanctuary, as part of its efforts to support education, and conservation of the environment and wildlife. The foundation run by Sudhir Ruparelia family has been part of the drive to sustain Ngamba island, the home of the apes. In honour of his support, one of the apes was named after the Ruparelia family. Now the world famous chimpanzee sanctuary has included om its curio shop, memorabilia bearing Ruperalia name. 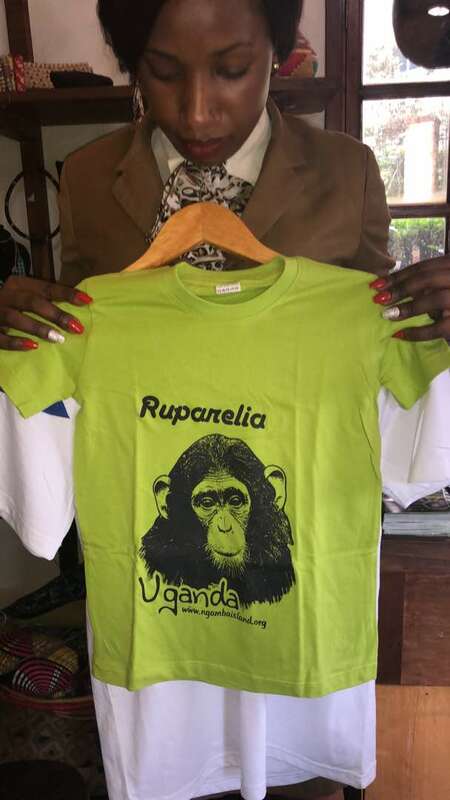 Tourists visiting Ngamba can now among other things buy t-shirts designed to celebrate Ruparelia the chimpanzee but also the donor for their well-being. Ngamba island has become world famous for the work with chimpanzees by ED Ngamba Island Chimpanzee Sanctuary, Ms Lilly Ajarova.